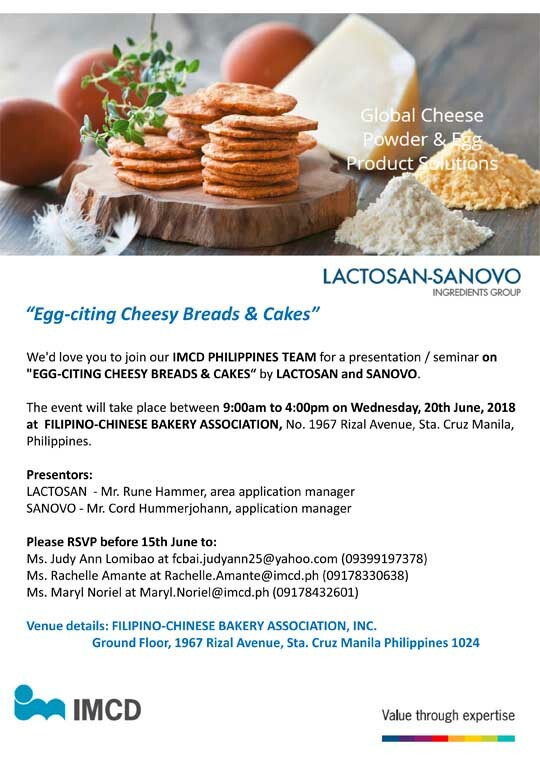 Egg-citing Cheesy Breads & Cakes – Filipino-Chinese Bakery Association Inc.
We’d love you to join our IMCD PHILIPPINES TEAM for a presentation / seminar on “EGG-CITING CHEESY BREADS & CAKES“ by LACTOSAN and SANOVO. 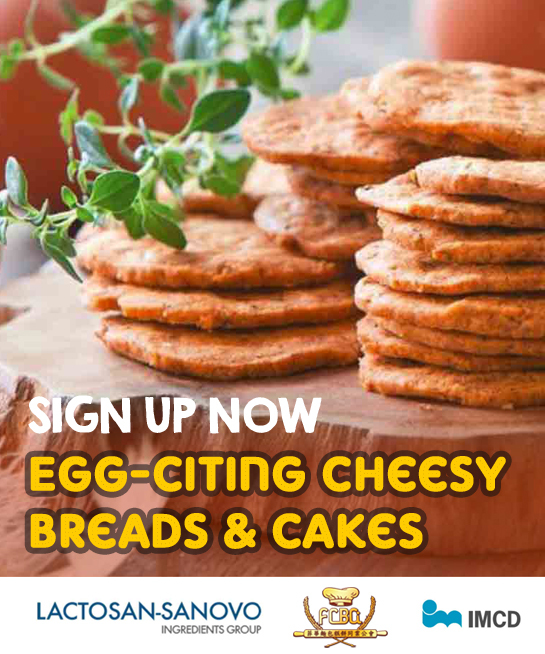 This will be all about Global Cheese Powder and Egg Products Solutions. 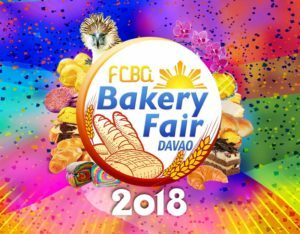 The event will take place between 9:00am to 4:00pm on Wednesday, 20th June, 2018 at FILIPINO-CHINESE BAKERY ASSOCIATION, No. 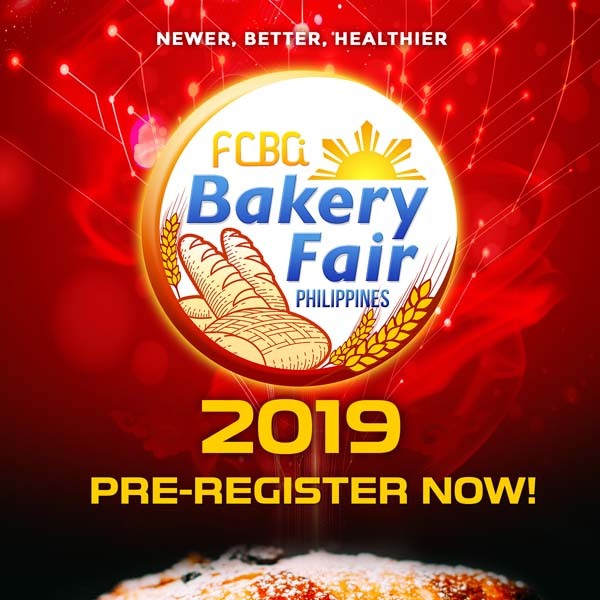 1967 Rizal Avenue, Sta. Cruz Manila, Philippines. 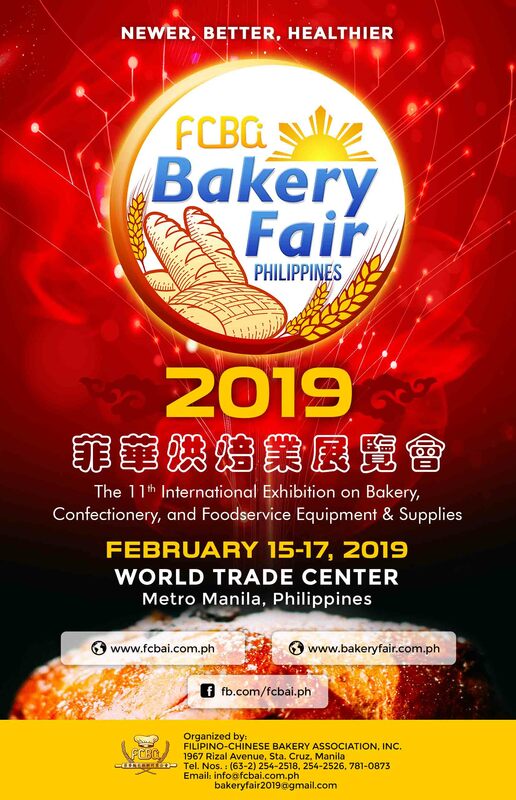 Venue details: FILIPINO-CHINESE BAKERY ASSOCIATION, INC.